Dr. Anne Barlow Ramsay (FL), co-owner with her daughter Barbara Cadwell of Annie B Farm (WI) wanted to provide financial backing for a talented horse and rider annually for the next ten years. 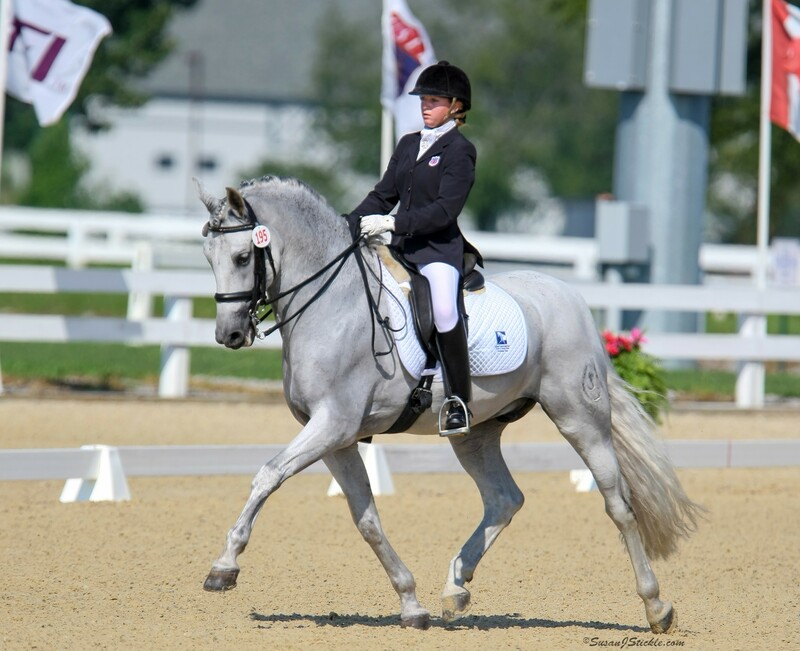 She worked with John Boomer, then President and CEO of The Dressage Foundation, to establish a “Dressage Training Sponsorship Charitable Remainder Unitrust” which would simultaneously accomplish several good things. The Dressage Foundation’s attorney drafted the Unitrust instrument, which spelled out precisely what Dr. Ramsay wanted to accomplish. She funded the Unitrust with $254,000 in highly appreciated stock. She then selected First Nebraska Trust Company of Lincoln, Nebraska as principal Trustee to manage the Unitrust, and named her daughter, attorney Barbara Cadwell as Co-trustee. They managed the Unitrust for Dr. Ramsay’s chosen ten-year term, supervised the investments, distributed the income checks to the rider monthly, kept Dr. Ramsay well informed of the Trust’s performance, and filed annual tax returns for the Charitable Remainder Unitrust. 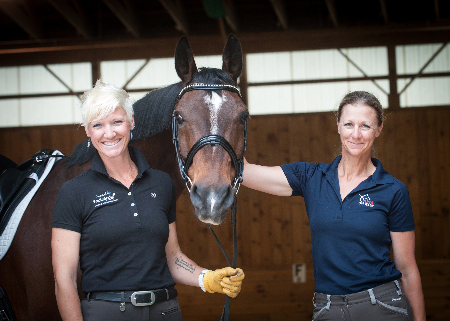 The first person to benefit from Dr. Ramsay’s Unitrust was a Dressage rider she had chosen to help with monthly payments from the Unitrust for ten years. Dr. Ramsay structured the instrument so that the income to the rider would grow over the years – a nice inflationary hedge. These income payments were taxable to the rider at ordinary income tax rates. The second beneficiary of this arrangement was Dr. Ramsay herself, who gained two solid tax advantages. The first was the avoidance of a 20% federal capital gains tax on the $112,759 appreciated value of stock she donated to the Trust, which otherwise would have been payable, had she sold the stock outright. The second tax advantage was a charitable contribution income tax deduction in the amount of $137,084, which Dr. Ramsay was able to take in an amount up to 30% of her adjusted gross income, with an additional five year carry forward period over which to spread the deduction. Both of these major tax advantages have put significant dollars into Dr. Ramsay’s pocketbook, rather than the purse of the tax collector. The third beneficiary is the sport of Dressage, as Dr. Ramsay named The Dressage Foundation as the “sole, irrevocable charitable remainderman,” which means that at the end of the ten year Trust term, the “remainder” would be paid by the Trustee to The Dressage Foundation. A separate letter of agreement between Dr. Ramsay and The Dressage Foundation, spells out what she wished to be done with the remainder money when it was paid to The Dressage Foundation in February of 2009. The letter instructs The Foundation Board to provide $25,000 in annual grants to showcase American-bred horses ridden by United States citizens by providing them with funds to travel and compete in Europe. The first annual “Anne L. Barlow Ramsay $25,000 Grant” was awarded to James Koford (NC) and his Dutch Warmblood, Rhett, who will be training in Germany in 2009, and competing in shows in Holland, Belgium, Germany and the Czech Republic. Dr. Ramsay has established a SECOND Charitable Remainder Unitrust – identical in the amount of $250,000, all terms, conditions, instructions to remain the same. She established it in January of 2009, for a ten-year term, through 2019, at which time The Dressage Foundation, as sole irrevocable charitable remainderman, will receive the Unitrust remainder funds to continue Dr. Ramsay’s $25,000 annual grants far out into the future years. Dr. Anne L. Barlow Ramsay is a Renaissance woman – a wife, mother, medical doctor, business executive, volunteer, world-traveler, and equestrienne. She was born in England in 1925, and graduated from the University of London with an M.D. equivalent. She also earned a Diploma in Child Health from Yale University. 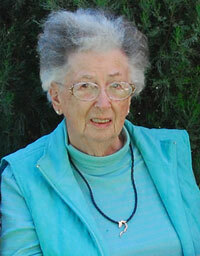 She moved to Canada in 1951 as a Rotary Foundation Fellow, and was licensed in Michigan, Pennsylvania and Illinois. In 1963, she joined Abbott Laboratories as a medical writer, and rose to become Vice President of Medical Affairs for the Hospital Products Division. In 1984, she launched her own consulting business in pharmaceutical research, which is on-going today. Dr. Ramsay has served as President of the American Medical Women’s Association, and Vice President for North America for the Medical Women’s International Association. She has been chair of the American Medical Women’s Foundation and Chair of the American Women’s Hospitals Service for thirteen years until 1997, and again in 2006 to present. Dr. Ramsay chaired the Governing Council of AMA Senior Physicians Group from 1997-2005. Dr. Ramsay has been a horse-woman for forty years, and owns a sport horse breeding operation in Wisconsin with her daughter, Barbara Cadwell. 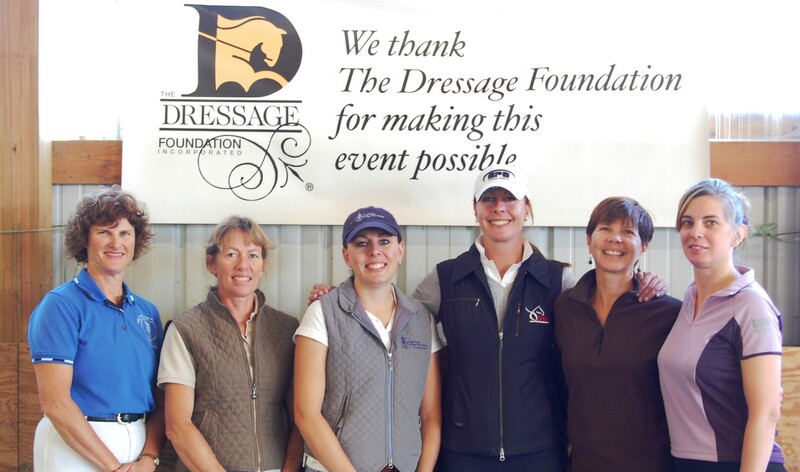 Dr. Ramsay serves on the Finance Committee of The Dressage Foundation. She and her horse Fridjoff, proudly rode for Century Club membership Team #27 (2003) sponsored by The Dressage Foundation.